The cabinet has given sanction of formation of two posts independently of Additional Managing Director for Indore and Bhopal Metro. Bhopal: The much needed extension for Bhopal, Indore Metro Rail projects has finally got the state cabinet approval. The state also gave its nod for the bank loan of 500 m euro from the European Investment Bank for the Bhopal Metro Rail Project. The other approval that the cabinet gave for creating 129 post for the Project Management Unit as well as 274 positions for Project Implementation Units. Madhya Pradesh Metro Rail Co Limited (MPMRCL) will be authorized for filling the vacancies, recruitment procedure, honorarium and decide the prerequisite of educational qualification and experience. The Cabinet has also decided to initiate the Mukhya Mantri Avivahita Pension Yojana via the Department of Social Justice and Disaster Welfare. With this approval will finally things move as for last eight years the Bhopal Metro Rail project is biting the dust. The project largely remains on paper till date with general public waiting to board the metro. With a population of over 20 lakh people, Bhopal fits the metro bill. But unfortunately, nothing concrete has been done to initiate work on metro rail. Bhopalis now wait for the authorities to work towards turning the proposed metro rail into reality. If metro rail comes, residents will have a reliable, economical and comfortable means of public transport. This will automatically reduce reliance on private vehicles, reduce traffic chaos and to some extent bring down pollution levels. 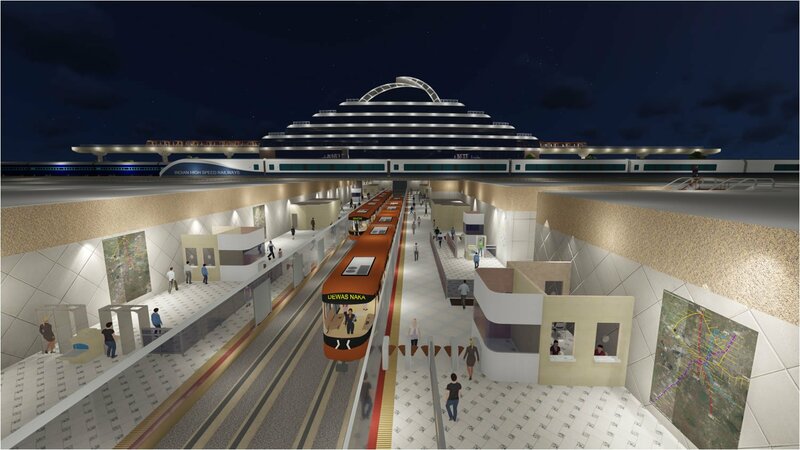 As per the plan it is proposed to have a rapid transit light metro system for Bhopal Metro. There will be a total of 89 stations in 3 corridors covering a distance of 35 kilometres. The estimated cost of this project comes to around ₹80 billion (US$1.2 billion) approximately. The Bhopal metro will have three way system involving road, underground and bridges as part of the plan. The expected ridership is pegged at around 2, 20,000 riders per day.